A well-known and much loved variety for the home gardener, equally good for the greenhouse or outdoor. 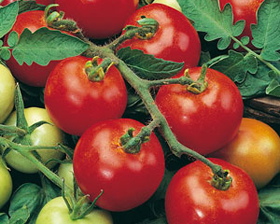 Tomato Moneymaker produces smooth, medium-size fruit on heavy trusses with a fine agreeable flavour. Sow tomato seeds in late winter for heated greenhouse cultivation or early spring for the cold greenhouse. Sow 6mm deep in a good compost. Germination usually takes 6-14 days at 24C.